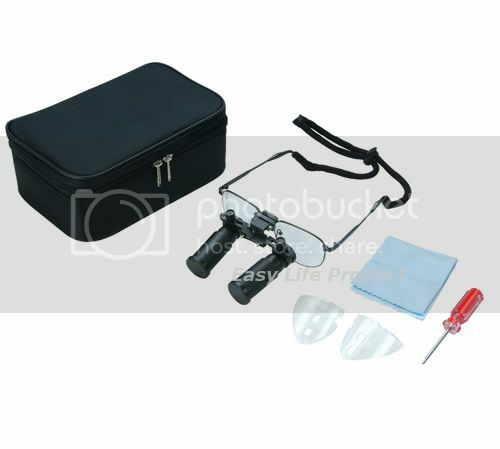 Material of frame plays a critical factor of choosing a surgery loupes. You won't go wrong by taking our heavy duty "Titanium" frame for long durability. This spectacular loupes can allow the transmission of an optimal amount of lights through into your eye - therefore a sharp, clear and bright image can be seen with reducing the eyestrain. A special coated lens can eliminate the light reflection - least interruption to your works. This great design allows you to adjust the angle and focus for optimal view. It works great for a wide dental or medical applications.